Modern wide solid oak triangular Chinese bookcase. Modern Chinese solid oak triangular bookcase. The bookcase is wide. The shelves are narrow at the top, suitable for paperbacks and small books, and the shelves graduate to a large shelf at the bottom big enough to take large books and atlases. 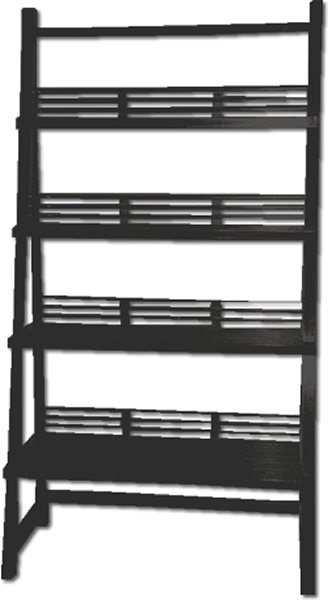 These bookcases have slatted shelves and backs so they do not form a visual barrier in a room. They have an open-plan feel and look. they have loads of room for all your books but the footprint is neat and small.